Home → Enablers → Analytics → Email Marketing is not Dead! 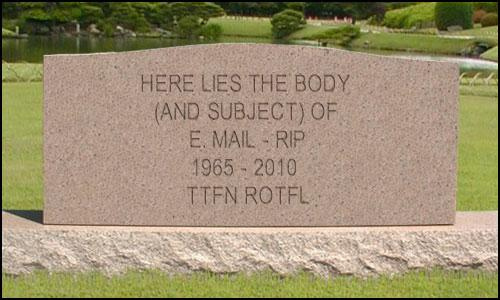 Some say Email Marketing is dead. In fact there are a lot of people who have been saying this, time and again. But statistics show us a very different picture. Econsultancy has recently released their 10th Annual Email Marketing Industry Census which support this. The number of respondents happy with their email marketing ROI went up to 66%. From sending generic emails to everyone in your mailing list, email marketing has come a very long way. We have gone past grouping customers based on common features or demographics. We now have abundant customer data which enables a business to know its customers – not as a group of people that will fit into a demographic profile, but as individuals. Knowing each customer personally makes it possible for all kinds of specific communication to be sent to each of them addressing their particular needs. Sophisticated tools place enormous power in the hands of the marketer, giving him the opportunity to send the right message to the right customer at the right time. Let’s take a look at some of the advantages of using email to market to your customers. Email marketing is one of the less expensive ways of marketing. This is one of its greatest advantages. And the fact that email marketing is sending messages to people who opt to be contacted by you! Which means that the conversion rates are high! Email marketing is targeted marketing at its best. You get to control who sees your email and what they see! It is possible to segment all these willing and wanting to be contacted customers based on various criteria and engaging with them based on that! And the audience gets the emails immediately. So the impact is quick! They are easy to track and measure. Both in terms of sales and user engagement. So you know how many people viewed your message. You will know what works. And what doesn’t. By sharing emails with your customers, you increase brand awareness. Which is a great thing. It helps you engage with your customers better by including an interactive element in it. It is possible to personalize your messages to your customers – you don’t need to use a “one size fits all” kind of method. You can communicate more frequently with your customers – since emails are easy to create quickly.